100% New Evercool HD-AR-R ARMOR. Not include HDD or SSD. - Using 8cm long life fan provides well cooling performance. DC Fan Size: 80 x 80 x 25 mm. DC Fan Speed: 2200 ± 10% RPM. - Convert the dual 5.25" Drive Bays into three 3.5" or four 2.5" H.D.D or SSD. Designed for M.2 2280 solid state drives XPG STORM marks the first time a dedicated, DIY add-on heatsink/fan combo for M.2 2280 SSDs has been made available. It can be used on any M.2 2280 solid state drive for effective cooling and better handling of intense tasks such as gaming, overclocking, 3D rendering, and video editing. Forensic UltraDock FUDv5.5 Drive Dock v5.5. Forensic UltraDock FUDv5.5. The Forensic UltraDock model FUDv5.5 has USB 3.0, USB 2.0, eSATA, and FireWire 800 host connections. To use, connect a suspect hard drive--IDE or SATA--to the Forensic UltraDock, plug in power, and attach a cable to the host computer. P/N: PD690. DELL PRECISION 470 FAN SHROUD ASSEMBLY. Fan Size: 20x20x4.5mm. Application: Hard Drive. As the temperature of a hard drive nears its heat threshold, read errors, reduced life cycles, and even loss of data can occur. With the Vantec Vortex Hard Drive Cooling System, you can help ensure the dependability of your crucial data. Cisco is the worldwide leader in networking for the Internet. Manufacturer: Cisco. Office Products. Printers & Scanners. We’re here to help. More about Warranties. All of our products are fully backed by Australian manufacturer warranty. Manufacturer: Cooler Master. Huge product range. Office Products. Printers & Scanners. We’re here to help. More about Warranties. Technical details. All of our products are fully backed by Australian manufacturer warranty. Colindale Rabbit LTD. We will resolve the problem directly with you. The Bitspower M.2 SSD Armor Advanced Version is a passive cooling solution for Next Generation Form Factor SSDs alias M.2 disks. Overview of the Bitspower M.2 SSD Armor Advanced Version - Subtle and elegant design with Bitspower logo. Noctua NF-B9 redux-1600 PWM Computer case Fan The classic NF-B9 is a long-standing favourite among enthusiast users around the world and helped to found Noctua’s reputation as a top-tier manufacturer of premium quality quiet cooling components. Topped off with modular cabling, a Low-Noise Adaptor and 6 years manufacturer’s warranty, the NF-A15 is a premium choice for the highest demands. The NF-A15’s standard 120mm mounting holes (105mm spacing) also make it an ideal performance upgrade for 120mm case or CPU fans. BitFenix Spectre Pro RGB Computer case Fan The Spectre™ Pro RGB is the latest addition to the Spectre™ fan series. Carrying on the BitFenix spirit, it provides utmost versatility and flexibility with availability in four sizes, reaching from 120mm up to 230mm fans. No. : 12032. -Size: 120mm (L) x 120mm (W) x 32mm (H). - Ultra quiet Low-speed brushless DC fan. - Blower fan. It will be more convenient to both you and us. Up for sale is a new TITAN 5.25" Drive Bay Dual Fan Hard Disk Cooler mpn: TTC-HDC2. · Fit any 5.25" drive bay of PC case. 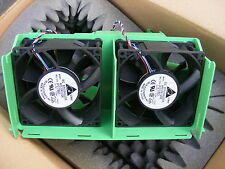 · Double 40 x 40 x 20 mm fans for high performance. · EMI protector and removable air filter. Noctua 120mm NF-F12 industrialPPC IP67 PWM Fan (Max 2000RPM) Manufacturer: Noctua. Designed in Austria, Noctuas premium cooling solutions are internationally renowned for their low noise, exceptional performance and outstanding quality. 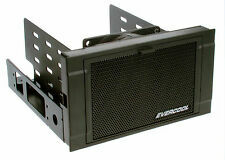 Deepcool AMD AM4 Socket Bracket Kit for MAELSTROM Series. Manufacturer: Deepcool. Huge product range. Office Products. Printers & Scanners. We’re here to help. More about Warranties. EAN: 6933412795834. Deepcool Maelstrom Series AMD AM4 Socket Bracket Kit Deepcool AMD AM4 Socket Bracket Kit for MAELSTROM Series. Deepcool AMD AM4 Socket Bracket Kit for MAELSTROM Series. Corsair LL120 RGB Computer case Fan Let Your Lights Do The Talking Made for those seeking excellent airflow, quiet operation, and powerful lighting, the CORSAIR LL120 RGB fan puts your PC back in the loop. Manufacturer: DataPort. The Ditto DX PCIe Adapter Bundle Hardware Connectivity Kit. Ditto Forensic FieldStations. Product Type: Hardware Connectivity Kit. We may no longer be able to change or cancel your order. The Himuro features a flexible mounting system to allow user to mount the hard disk cooler in various ways, hidden or exposed. Compatible for either parallel (IDE) or SATA 3½" hard disks up to 10,000rpm. Manufacturer: Noctua. The NA-SEC1 chromax.red is a fan accessory set consisting of four NA-EC1 30cm extension cables. The NA-EC1s 4-pin connectors are compatible with both 3-pin and 4-pin PWM fans and the cables can be daisy-chained in case more than a 30cm reach is required when installing fans in larger enclosures. Large capacity of water, beautiful appearance of the atmosphere. Especially for the tower, the tower above the use of the chassis. 1 x Water Cooling. Connector: Top 3 holes / side 2 holes. P/N: USBDUPE17. SKU: USBDUPE17. MPN: USBDUPE17. Duplicate or erase up to seven USB flash drives, without connecting to a computer. This USB duplicator and eraser lets you clone or erase up to seven USB flash drives, without a host computer connection. The HD120 RGB LED fans are tailor-made for those seeking to make their rigs outshine all others. High static pressure Provides improved performance over standard case fans. Quiet performance Ultra-thin fan blades ensure less vibration, noise and turbulence. P/N: USBDUPE115. SKU: USBDUPE115. MPN: USBDUPE115. Duplicate or securely erase up to 15 USB flash drives, without connecting to a computer. This USB duplicator and eraser lets you clone or erase up to 15 USB flash drives, without a host computer connection. P/N: SATDOCK5U3ER. Exactly duplicate a 2.5in or 3.5in SATA hard drive to 5 hard drives simultaneously, or dock any of the 6 connected hard drives to your computer through USB 3.0 or eSATA. The SATDOCK5U3ER Hard Drive Duplicator & Docking Station lets you clone a 2.5in or 3.5in SATA hard drive (HDD) or solid-state drive (SSD) to five other SATA drives simultaneously, as a standalone device. • By using a single 8cm high air flow fan and exclusive Evercool Long Life bearing; Unit life is up to 40 000 hours! DC Fan Size : 80 x 80 x 10mm. Weight : 40 g. Noise Level Speed : 2000±10% RPM. Bearing Type : Ever Lubricate bearing (Long Life bearing). Forensic ComboDock FCDv5.5 Drive Dock v5.5. Forensic ComboDock FCDv5.5. When turned on, the Forensic ComboDock asks you to choose either write-blocking or read/write mode. If you need to modify contents of a suspect drive, switch the Forensic ComboDock into temporary read/write mode. Noctua NF-A20 PWM Computer case Fan The NF-A20 is a highly optimised, premium quality quiet 200mm fan. Its superb running smoothness, reference-class SSO2 bearing and Noctua’s trusted premium quality make the NF-A20 an elite choice for the highest demands. Suitable for Processor. Type Cooler. Supported processor sockets Socket AM2, Socket AM2 , Socket AM3, Socket AM3 , Socket FM1, Socket FM2. Compatible processor series AMD E. Width 158 mm. Power consumption (typical) 0.6 W.
To make your Xeon 5500/5600 systems quieter has never been so easy! Supported processor sockets LGA 1366 (Socket B). Type Cooler. Suitable for Computer case. Product life 150000 h. Rotational speed 1300 RPM. Noctua NF-A8 PWM Computer case Cooler The NF-A8 is a highly optimised, premium quality quiet 80mm fan. Its superb running smoothness, reference-class SSO2 bearing and Noctua’s trusted premium quality make it an elite choice for the highest demands. Manufacturer: DeepCool. The FH-10 is an integrated fan hub from Deepcool capable of powering up to 10 fans (3-pin or 4pin) with PWM modulation, while occupying only one 4-pin motherboard header per Fan Hub. BlacX N0028USU Docking Station Drive Enclosure SATA HDD USB. P/N: N0028USU. SKU: N0028USU. MPN: N0028USU. Includes Dock, Power adapter, USB 2.0 cable. Product Line: BlacX. Manufacturer: Thermaltake. Product Type: Drive Enclosure. P/N: SATERASER4. SKU: SATERASER4. MPN: SATERASER4. Manufacturer: Startech. Hard Drive Eraser for 2.5 or 3.5 in. SATA Drives 4-Bay Standalone HDD. This hard drive eraser provides standalone, simultaneous drive erasing for up to four 2.5 in. Manufacturer: Noctua. Manufacturer: Noctua. Cable type: 4Pin PWM fan power splitter (aka Y cable). Includes: 3x Cables. Huge product range. Would you like to know more?. Check out thefull product information page. Compatible Apple iMac 21.5", A1311 model incuding Pulled off from a li ving iMac, fully tested. Lay-by Option. Apple P/N: 922-9796. Manufacturer: Kanguru. Product Type: Hard Drive/Solid State Drive Duplicator. Depth: 6.2. Drive Interface: Serial ATA, IDE. Drive Width: 3.5, 2.5. Country of Origin: United States. We may no longer be able to change or cancel your order. P/N: UNIDOCKU33. SKU: UNIDOCKU33. MPN: UNIDOCKU33. Manufacturer: Startech. Universal docking station for 2.5/3.5in SATA and IDE hard drives USB 3.0 UASP. Product Type: Drive Dock. Drive Interface: Serial ATA/600. MB971SP-B DuoSwap 2.5/3.5in SATA Hot Swap Drive Caddy Bay Adapter 2.5 3.5 Cad. External docking stations are popular because of its flexibility and compatibility. This gives you the ability to expand and easily go from your external docking station to your computer in just seconds. Apple iMac A1224 2007 2008 620-3940 DVD Optical Drive Cooling Fan BFB0712HHD 20"